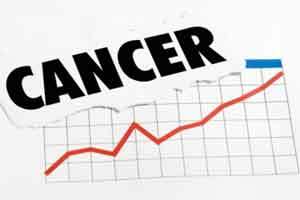 Kolkata: A Chennai-based personalised medicine start-up is all set to launch advanced tests for precise identification of three rare cancers, a company official said. Swagene, one of the winners at Empresario 2016 — IIT-Kharagpur’s annual global business model competition, has developed tests for sarcomas (soft tissue cancers) such as rhabdomyosarcoma, synovial sarcoma and Ewing’s sarcoma (bone cancer) which shall be launched in February, the official informed. “There is a market need for diagnostics of these cancers as it is very difficult to distinguish between these three. “The market is not satisfying this particular need. We will launch the tests in early February,” Sooraj Ratnakumar, founder of the nine-month-old start-up, told IANS here. Swagene, which finds the right therapy for patients based on genetic analysis, looks at three broad areas: infertility, cardiology and oncology. “We look at specific disease-markers and diagnose and advise the patient and their doctors on how to proceed with therapy. For example, what therapies will work for them, which will give them severe side-effects and how to avoid those side-effects and what will not work for them,” said Ratnakumar, a molecular biologist from Cambridge University, who also spearheads the R&D at Swagene. Ratnakumar and his team of four intend to bring advanced diagnostics to the market and make them accessible and affordable to the public. “We go meet doctors and convince them about the tests we do… 50 percent of the tests are completely novel in this geography — for example, in infertility we identify who are the poor responders in IVF and how to overcome the poor response,” said Ratnakumar. The tests can be ordered online anywhere in India.